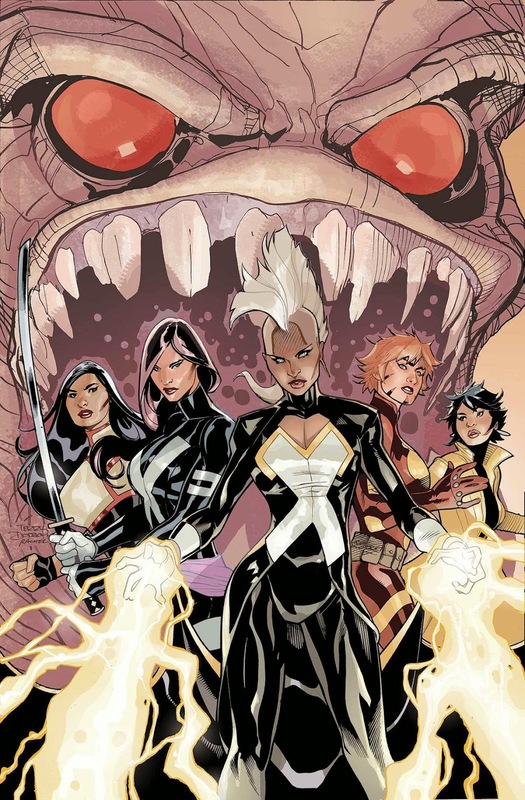 Super-villains are ramping up their activity this week, but hopefully they can be stopped by... SuperQueeros: all that's lesbian, gay, bisexual, transexual, transgender, and queer in comics today! Remember how most of the Paradise team was murdered at Sinister's fortress? Well it looks like they may be getting a second lease on life... Or, more likely, a time-share on some kind of Frankenstein half-life. Now that "she's gone", it looks like the crazies are stealing the spotlight. Hopefully Guillaume will be okay! It's halfway through the miniseries, so I'm supposing that this issue's surprise super-villain is going to be a pivotal Big Bad. The Burning Earth comes to its conclusion and the team fights to break the cycle! To those about to take exams, I salute us. For everyone else, here's some comics for you to pick up! SuperQueeros: all that's lesbian, gay, bisexual, transexual, transgender, and queer in comics today! The clue to the next big bad lies in Spike's mind. This can only be fun. Green Lantern and crew race to pick up Rip Hunter and the Time Masters as the multiverse implodes! Can Colossus take out the new host of Cyttorak? 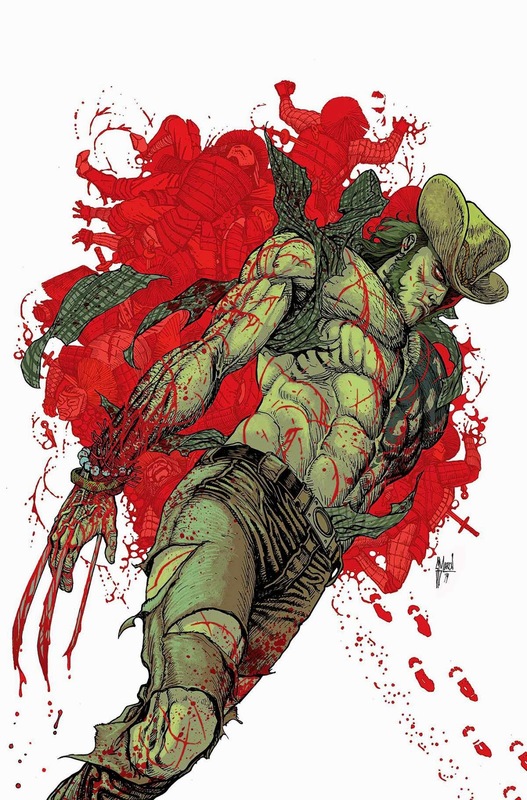 Daken takes center stage as he hunts the monster who stole his healing. 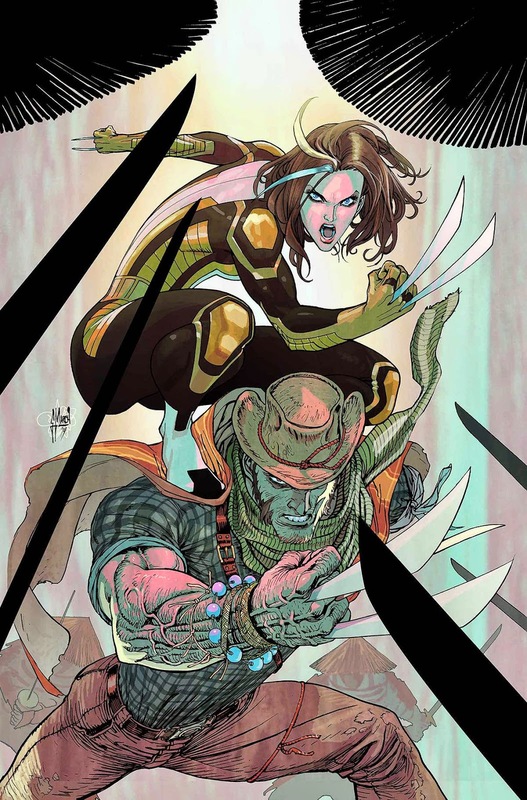 X-23 joins up, but is it to help her clone's-son or stop him? And why would she want to stop him? It's blast from the past week! 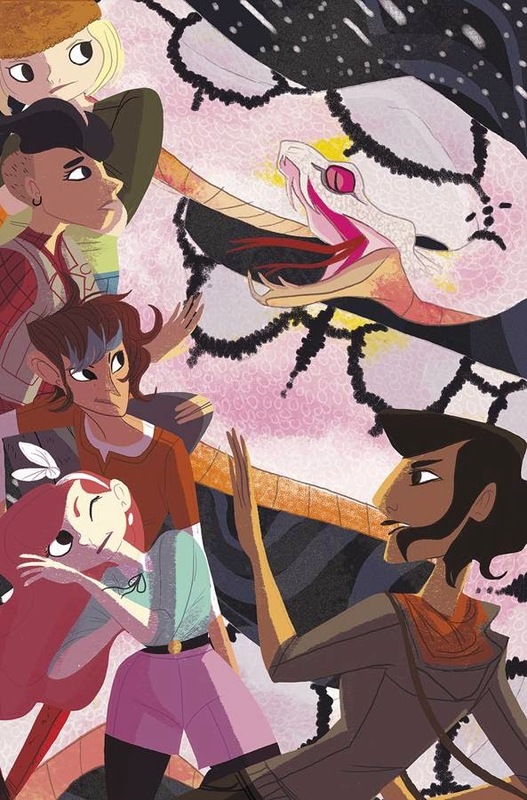 The Lumberjanes have an origin issue, Convergence dredges up our fav 'queero's of today and yesterday, and Mystique puts back in motion the revival of the ultimate blast from the past... SuperQueeros: all that's lesbian, gay, bisexual, transexual, transgender, and queer in comics today! Now on Earth 1, can Green Lantern access the Green? And can the White restore Sam back to life? Harley's not on this version of the team, but her best girl, Poison Ivy, is! Mystique starts to pull together the threads of her plan to resurrect her girlfriend... but then her two key players go missing! 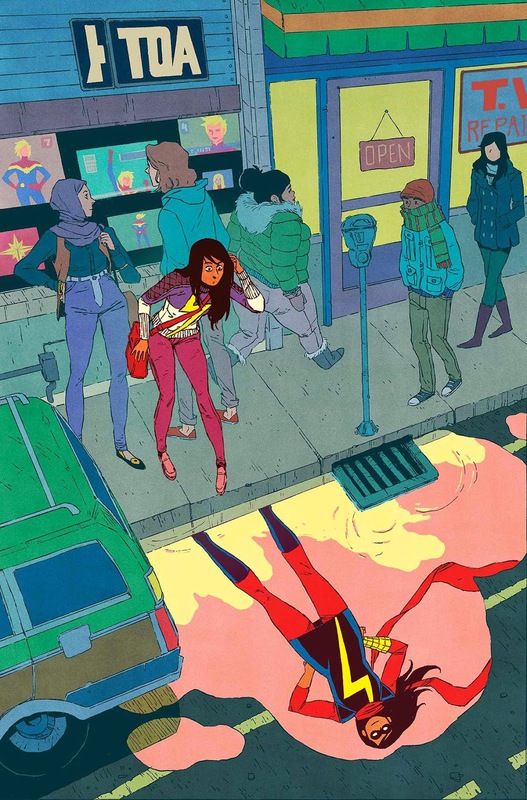 Ms. Marvel gets a crush! Dauterman's Thor takes on the Destroyer! 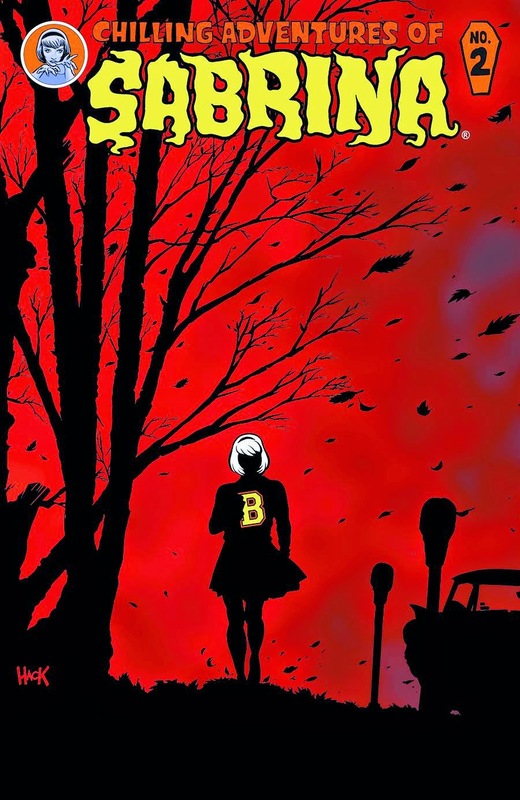 And Aguirre-Sacasa's (Chilling Adventures of) Sabrina gets an issue #2! It's Convergence! 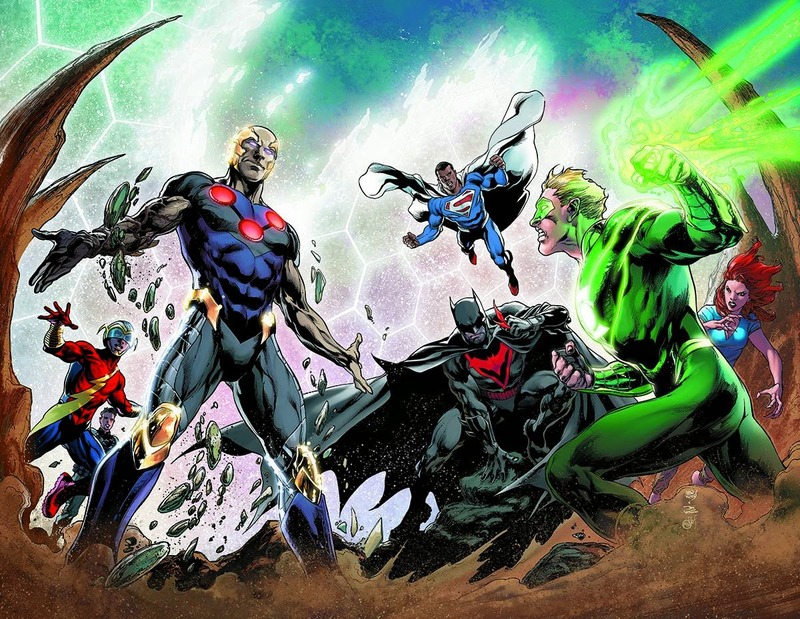 And that means all your old favorite characters and stories are coming back to the DCU! Let's see how many of them are... SuperQueeros: all that's lesbian, gay, bisexual, transexual, transgender, and queer in comics today! Woo-hoo! 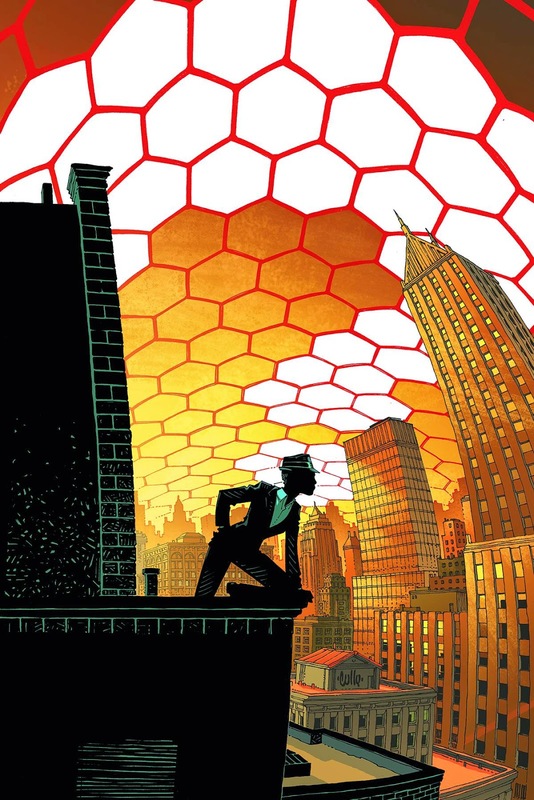 Renee Montoya is back! And, much like her Gotham incarnation, she's teaming up with Harvey Dent to take down... Harvey Dent? 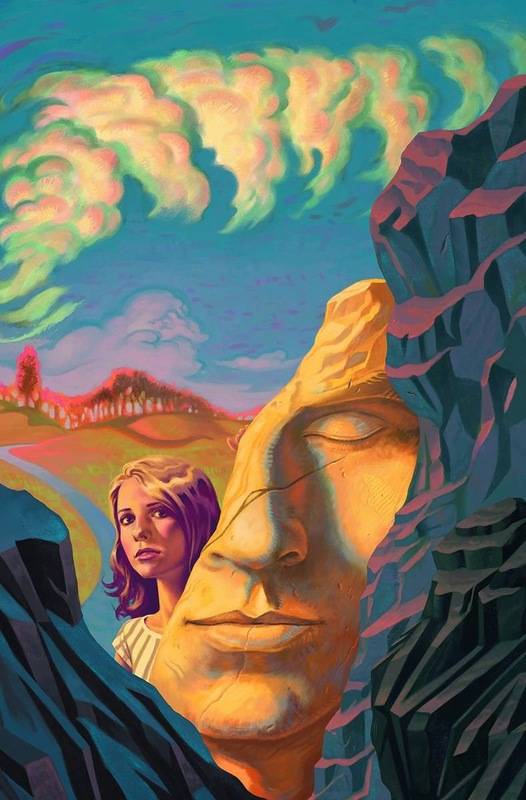 It's two times the Two Face (It's Four Face?) as the best incarnation of The Question returns to the page! It's so weird how the two publishers are all the time paralleling each other... Well, just as Marvel is pitting all sorts of realities against each other in this summer's Secret Wars event, so too is DC cherry picking from their best and most iconic runs, smashing them together, and calling it a sales-voted consensus reality TRUTH. Anyway, by definition this is the coolest of all possible fictional universes, and from the cover it looks like all the most interesting Earth 2 characters made it out alive or magically reanimated! 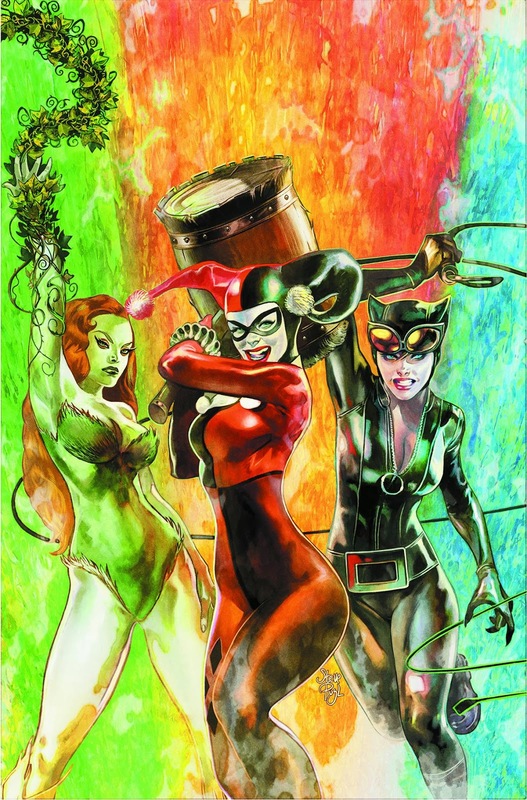 Remember Gotham City Sirens? When Harley and Ivy were living together with their pet Catwoman, just like a real queer couple? It's BACK! and they are fighting.... Captain Carrot? Meanwhile, while the Big Two are smashing all their action figures together in two separate sets of super wars, Rat Queens is taking a breaking to pick up all the pieces that they already smashed against some Elder Gods. Less than three, Rat Queens. Less than three. And, just an editorial aside, if you are a big Stephanie Brown-as-Batgirl fan (that last issue was SO GOOD) or a fan of Cassie Cain under the cowl, then you will love Convergence Batgirl #1, where both Bats are back! Plus, Tim Drake as Red Robin tags along to provide some beefcake.